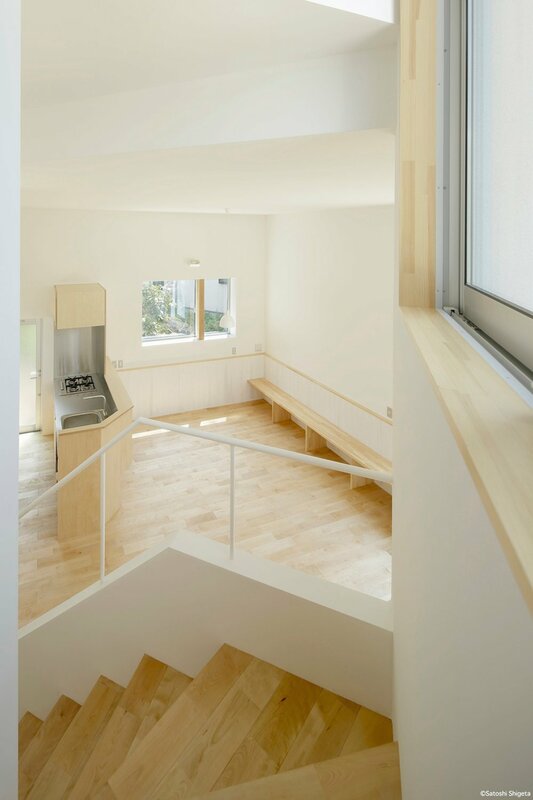 Created by uenoa, the minimally designed Front House is located in Yokohama, Japan. 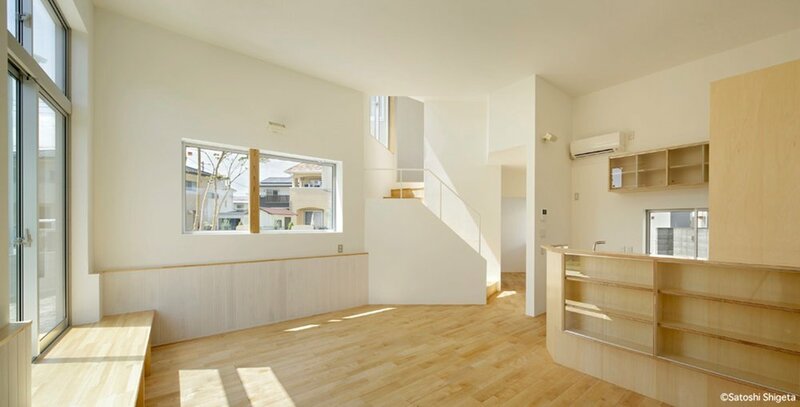 The home has been designed around the young couple and their three children and is located at the end of a newly developed area. This home faces new developments and old developments due to the site sitting at the edge of a transitioning area. The architects planned two buildings with relevance to both the new town and old town. A staircase between the two buildings connect the three spaces, and creates a building that encompasses both time periods.